An eagerly awaited collection of stories dealing with domestic abuse, edited by the New York Times bestselling author Zane. 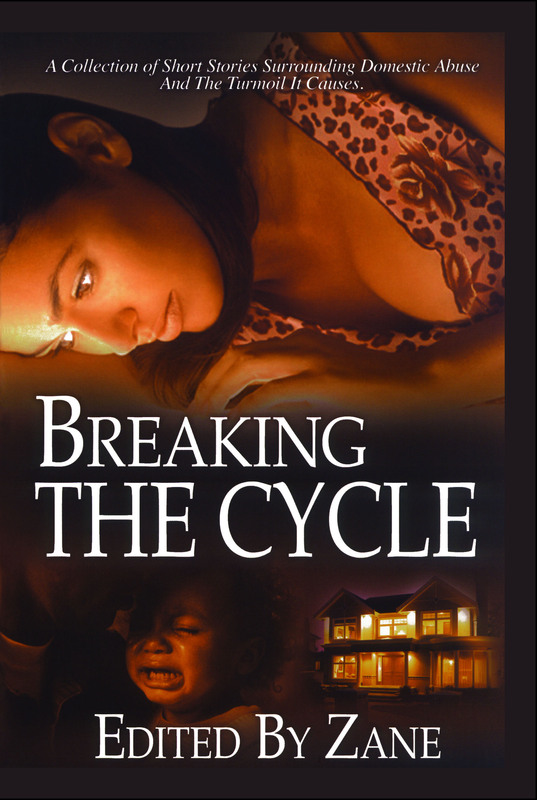 Breaking the Cycle is a stunning and moving anthology of stories, each of which focuses on an aspect of domestic abuse. This powerful collection is sure to serve as a wake-up call for people either dealing with a domestic abuse situation, or those watching someone else endure it. In the title story, Zane describes the turmoil that a young girl suffers at the hands of her stepfather. The girl and her mother plan their escape, but at the last minute the mother falters. In D.V. Bernard's "The Lonely Echoes of My Youth," readers are introduced to a young boy raising himself on the fringes of a drug-infested neigborhood. Nane Quartay's provocative story, "The Grindstone," describes a boy who witnesses a brutal murder which will have far-reaching effects on him and his family. Tracy Price-Thompson weaves a powerful tale in "The Stranger" when a woman constantly abused by her husband finds inner strength after a brutal attack. Collen Dixon's "The Break of Dawn" will keep readers deep in thought long after they finish reading her story about a young desperate mother terrifed that her own daughter will grow up and become victimized herself. Dywane D. Birch's "Victory Begins With Me" reflects how one woman has to struggle to get her life back to normal. Shonda Cheekes' "Silent Suffering" flips the script when a man finds himself abused by the female in his life. Newcomer J.L. Woodson's "God Does Answer Prayers" deals with a young boy fighting for his life in a hospital bed, put there by one of the people who is supposed to love him the most: a parent. These stories capture the dangerous realities of domestic abuse, while also pointing toward the steps that need to be taken to break the cycle that perpetuates it. It is sure to serve as a rallying cry for all those who desire victory over their own victimization, and a guide for understanding the complex undercurrents that make such patterns possible.